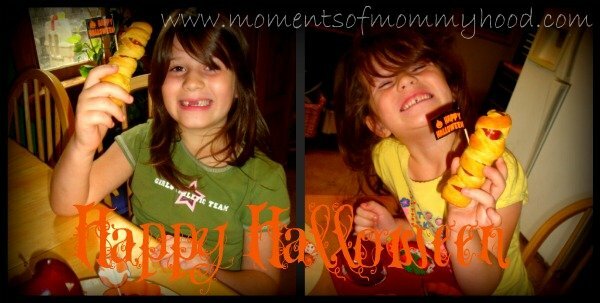 It's day 2 of the SITS Halloween linky and the theme for the day is to share something you have made for Halloween. So, show your creative side today and link up your post. You could win a Canon Rebel T2i! 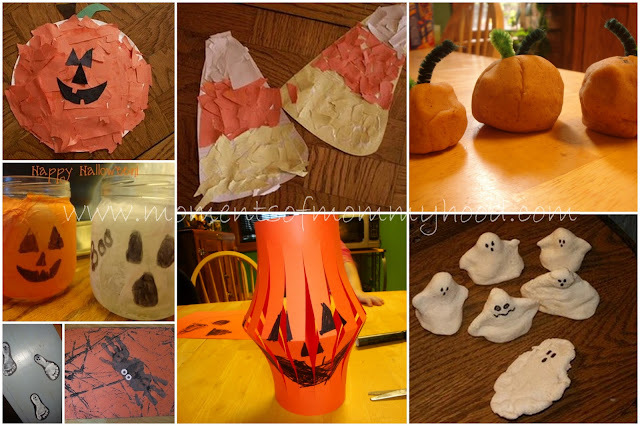 Here are a few Halloween crafts that we have done. Some from this year and a few from the past. 5 months already?! Stella is growing so fast! She is eating her first foods now and so far, she has loved every new food we introduce. Of course she is still the happiest baby on Earth. Smiling at everyone she sees and giggling all the time. Today, her Poppy was absolutely sure that she waved at him! Who knows, maybe she did. 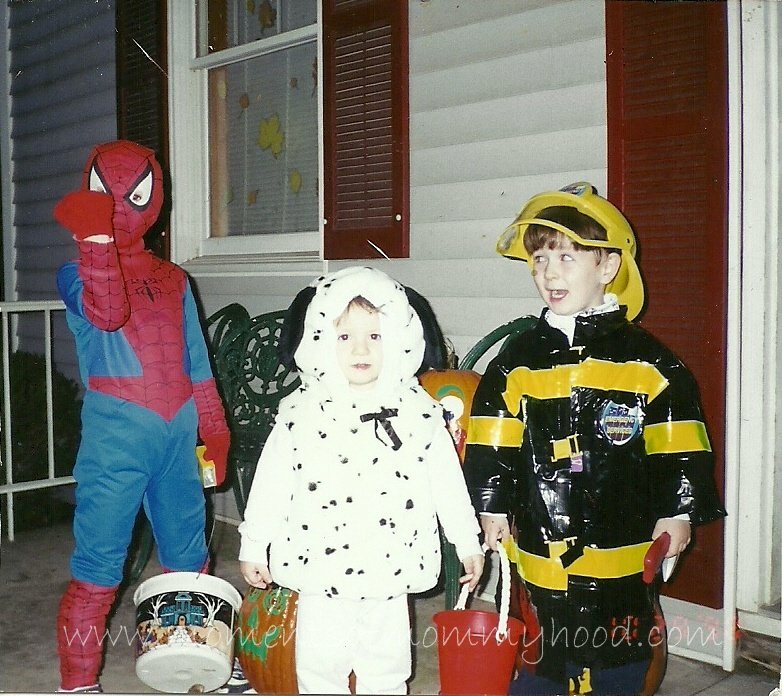 ;0) She went to her first Halloween parade and although she was very sleepy, curiosity got the best of her and she just had to sit up and watch. She did not miss a thing! I keep thinking about how much fun Christmas is going to be for her and how very lucky we are to have her! Did you know that Muffin Tin Meals are just as fun when you have them on Tuesday? Well, they are! We were extra busy yesterday and missed our regular Muffin Tin Monday, so we decided to shake things up a bit and have it today. Here is Miss Madelyn waiting patiently for the "okay" to dig in! If you would like to learn more about Muffin Tin Monday, check out this video that The Muffin Tin Mom (aka-Michelle) made. Or, if you want to see some other Muffin Tin meals from this week, go here. Fall has always been my favorite season. I love when the weather gets cooler, pulling on warm sweaters to take the chill off, and watching the leaves turn from green to bursts of beautiful color. 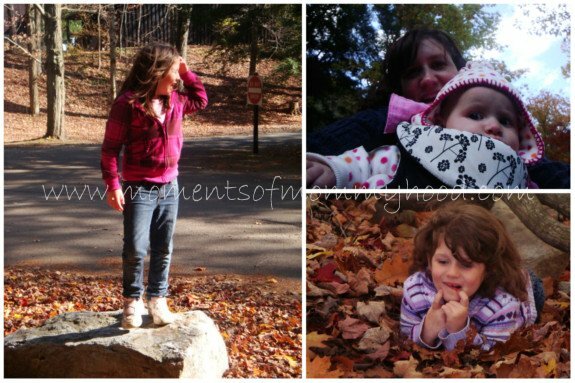 Traditionally every year at this time we take a road trip to World's End State Park. This year, was no different, (except for the fact that the boys didn't wan to go. Oh well, I DO still remember what it was like to be a teen.) But anyway, we had a girls day. 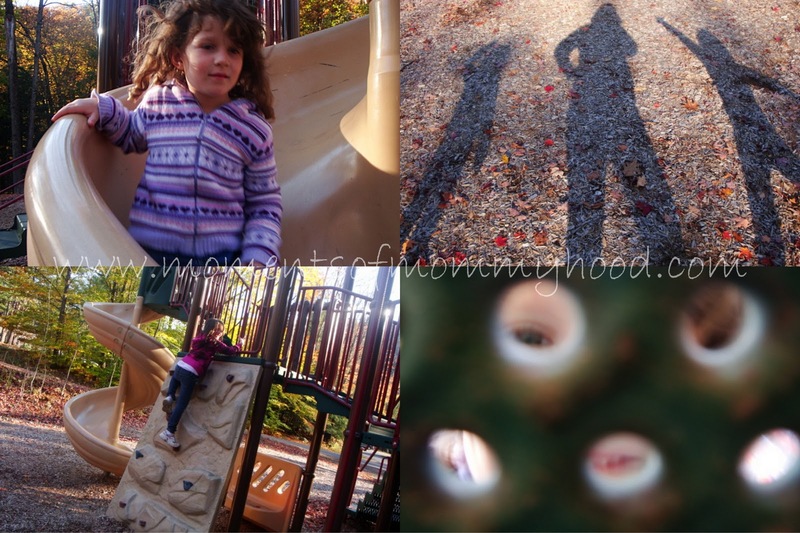 My mom and I took the three girls for a fun filled day outdoors. The drive up was beautiful. The sun was shining brightly through the trees and the colors were amazing. I never get tired of the view even though we have been taking this same trip all my life. When we arrived, suddenly out of no where, came the wind. Brrr, it was chilly! But, a little cold has never stopped us, after all, my mom reminded me that when we were very young, there was a time that it was actually snowing while we had our fall picnic. I was very thankful that it was NOT snowing! We unloaded the car rather quickly, trying to stay warm. Sat down to eat, only to have our plates blow off the table and food flying everywhere. Of course the girls got quite a chuckle out of that. After eating faster than I have ever eaten in my life, we gathered up all of the food and chased down a few paper plates blowing in the wind and headed out for a walk. Finding a good walking stick is the key to a good walk. We stopped a few times to collect "the best leaves ever!" And we took a few pictures. At first, Stella was not so sure about this playing in leaves business. But, eventually she came around and had lots of giggles. Being a mom of six, I know a lot about parenting. As they say, "This ain't my first rodeo." However, sometimes I do have a question, like I did in this post about making baby food. I could have easily Googled it, but would I have gotten the same results? I don't think so. 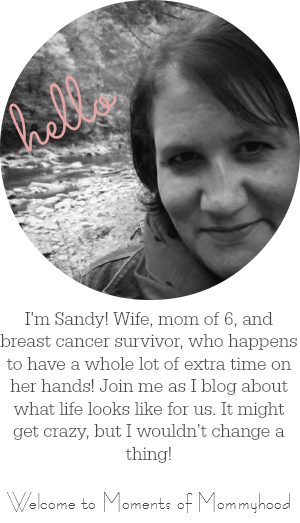 One of the things I love about blogging is making connections with other moms. Ask a question, and you get "real" answers. So, thank you to all of you who took the time to leave your thoughts and the links to sites or products that have worked for you. I plan to go through them all and work from there. When Stella had her 4 month well check a few days ago, her pediatrician recommended that now was a good time to introduce solids. Well, with the cold that she has had this week, she was not very interested in trying new things. So, the first few attempts failed miserably. But, I am nothing if not persistent, so I went along with the motto, "If at first you don't succeed, try, try again!" So, with much patience, I gave it another shot...and another...and another. Until at last, she got it! Just like a baby bird. So far, she is just eating rice cereal, but looking ahead I am thinking about making our own baby food. This is something that I had always wanted to do with my older kids, but working full time left me with very little extra time, so I went with commercial baby foods. It was just so much easier. So dear readers, I am seeking your advice. Have you made your own baby food? What worked for you? I would love to know. Thanks! Her exam went well. She is now 12lb. 9oz. and 24 in. long. She cooed for the doctor and nurses as if to have a conversation with them. So cute! As far as her cold goes, it's just that, a cold. Her lungs were clear and no problems with her ears, so we'll just have to wait it out. Because she had no fever, she was able to get her immunizations. Here she is waiting for the nurse to come in. As you can see, she had no interest in getting her picture taken because she was too busy playing with her toy. She did however, enjoy playing with the crinkly paper on the exam table. Then, the nurse came in and her fun came to an end. She got her shots and was not at all happy about it. :0( But, within a few minutes, she snuggled up with her blankie and fell fast asleep. Decorating for Fall is one of my favorite things to do. We couldn't decorate for Fall without some leaves, so here is how we made ours. First, mix 2 tablespoons of water with 10 drops of food coloring to make some water colors. For another, mess-free way to make some colorful Fall leaves, go here.